Detective Constable "Dangerous" Davies is gentle, old-fashioned, and decent—even when drunk. But these qualities only earn the scorn of his colleagues, and his boss tells him he's the last detective he would assign to a major crime-solving mission. Dangerous muddles on, and with the help of his friend Mod proves the merits of his dogged method. 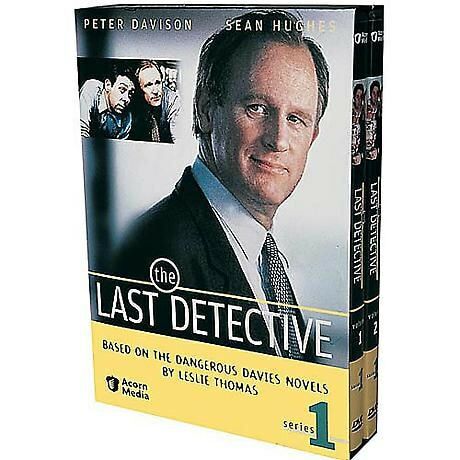 Peter Davison (All Creatures Great and Small) stars in this witty British series based on Leslie Thomas's novels. 4 episodes; approx. 312 min. on 2 DVDs. Davies is assigned one of his usual "crap jobs," but within the file, he discovers clues to an unsolved missing persons case from 1982. He takes the initiative to try solving the mystery of the missing 17 year old girl while simultaneously working on his actual assigned case. Unfortunately, Davies' initiative seems like secrecy and insubordination to DI Aspinall. Thanks to Mod, Davies is stuck investigating the disappearance of a dance club regular's husband. The problem is that the woman doesn't seem all too concerned about her missing husband. Dangerous takes on two cases shunned by the rest of the department. In one, an elderly lady is sure that her neighbor has killed his wife, hacked her up, and is systematically flushing her down the toilet. In the other, a demanding female robbery victim seems to become enamored with Davies. When Davies' homeless pal turns up dead in a canal, he decides to take on the case.